In addition to its annual congresses, ISPA undertakes a number of diverse programs, both ongoing and ad hoc, that facilitate a presence for the organization and its membership globally. These programs are done in partnership with local organizations and complement work that is currently occurring in the region. They typically, but not exclusively, take the form of curated conversations and/or networking opportunities. Through these regional initiatives, we are able to engage local members and non-members alike and facilitate participation on a smaller scale than undertaking a full congress. The number and location of these initiatives may vary from year to year but through this ongoing activity we ensure a broader accessibility and enhanced opportunities for engagement. 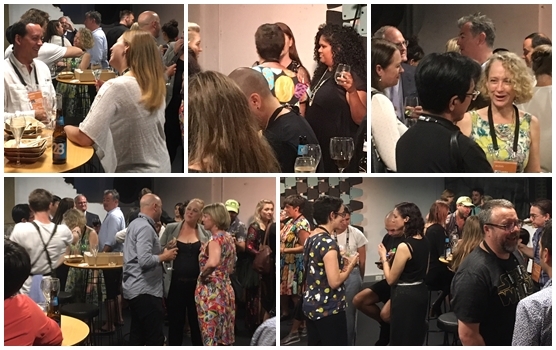 ISPA Series at the Fringe is a joint-program between ISPA and the Edinburgh Festival Fringe Society who share values of access, equity, and professional development. ISPA Series at the Fringe hosts events for festival participants designed to bring together emerging and established arts leaders in a dialogue about shared issues in our global community. Pre-war (pre-1946), Baby Boomers (1946-1964), Gen X (1965-1980), and Millennials (1981-2000): How is the nature of leadership changing through these transitions? Do governance and management structures need to transform in response? Join a cross-generational, cross-cultural dialogue to open up the issues behind these questions. Costs are rising, while subsidies are shrinking and consumer behaviours are changing rapidly. How do we keep our industry’s ecosystem viable with the competing demands for resources? And ultimately, who is responsible for paying the artist? Should producers and presenters keep an eye on the economics and leave the artist to endure market forces? Or should the artists take control and create the cultural economy themselves? In a mixed economy who gets paid and who doesn’t – those who are worthy or those who shout the loudest? Latin America is a vast region representing many cultures. As the region’s cultural riches grow in global impact, there are many opportunities for exchange. In this discussion, we’ll learn of key access points and opportunities to begin a dialogue which develops your network. Some festivals develop organically while others are created for a very specific reason or purpose. This highly interactive session explores the unique dynamics at play in developing international festivals, and the unique opportunities they provide to audiences, artists and presenters. Led by Lieven Bertels, this discussion delved into festival strategy, planning and execution, within the unique cultural landscape that is the Edinburgh Festival Fringe. Today artists have more control over how they create and distribute their work, audiences drive when and how they participate, and curators are less hierarchical in their approaches to programming. This long table discussion identified new ways that presenters, audiences and artists are engaging with each other to shift power structures, to ensure access and relevance amidst the myriad cultures and art forms integral to contemporary society. Facilitated by Michelle Witt, Executive and Artistic Director of Meany Center for the Performing Arts. In a world of increasing cultural conflict, how are artist-led organisations developing new models that support enduring international connections, understanding, and great art? Vanishing Point’s Matt Lenton and Severine Wyper, and Ahmed El Attar of Downtown Contemporary Art Festival Cairo, Studio Emad Eddin and Summerhall Middle East Season, kicked off this session exploring approaches to international creative partnerships, networks, residencies, co-production, and audience development. Facilitated by Faith Liddell.